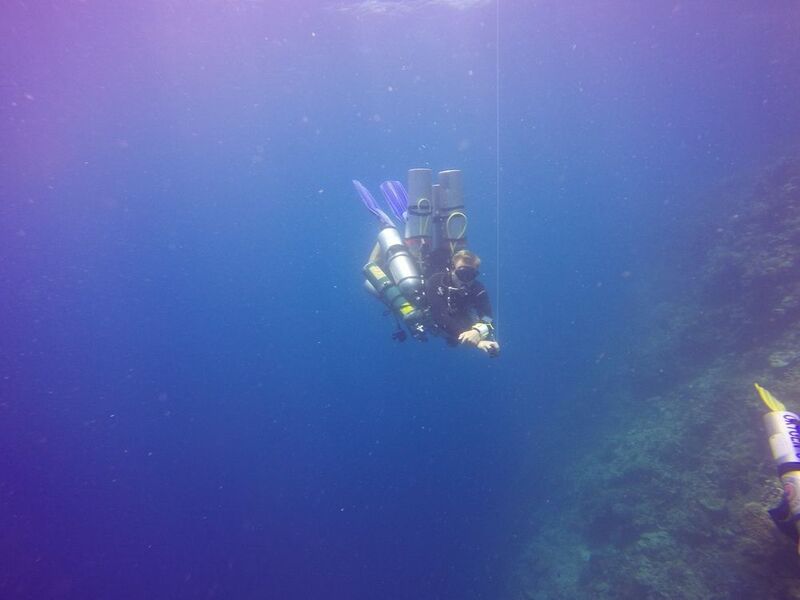 We provide a comprehensive service for technical divers and student tec divers here in Moalboal. Moalboal is actually a haven for technical divers. Just a few steps of the beach you find a wall that drops off to over 60m, without the need of a boat. On your deco stops on the way up you will be entertained by millions of sardines. 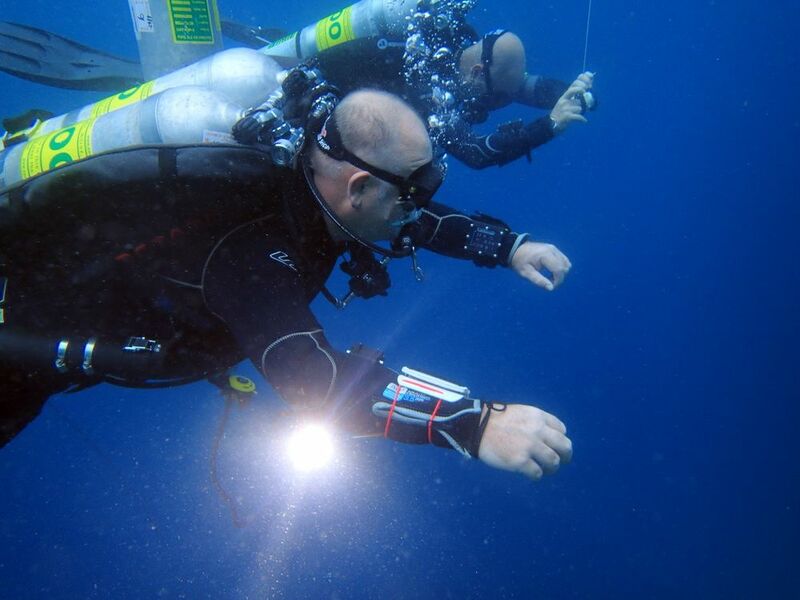 We offer the complete range of PADI Tec Rec programs from complete beginner through to Closed Circuit Rebreather (CCR) and Instructor level programs throughout the year. 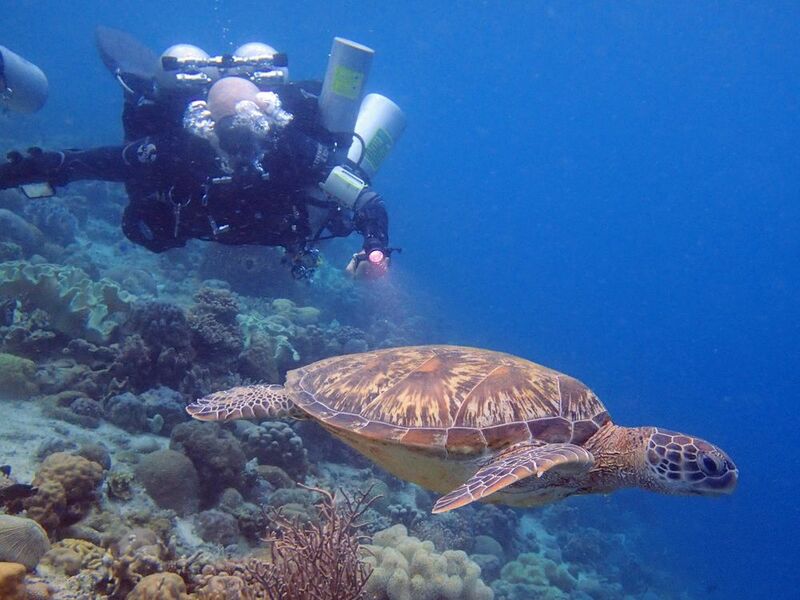 Located in the idyllic setting of Panagsama Beach, in the town of Moalboal, Savedra enjoys fantastic diving conditions year round. 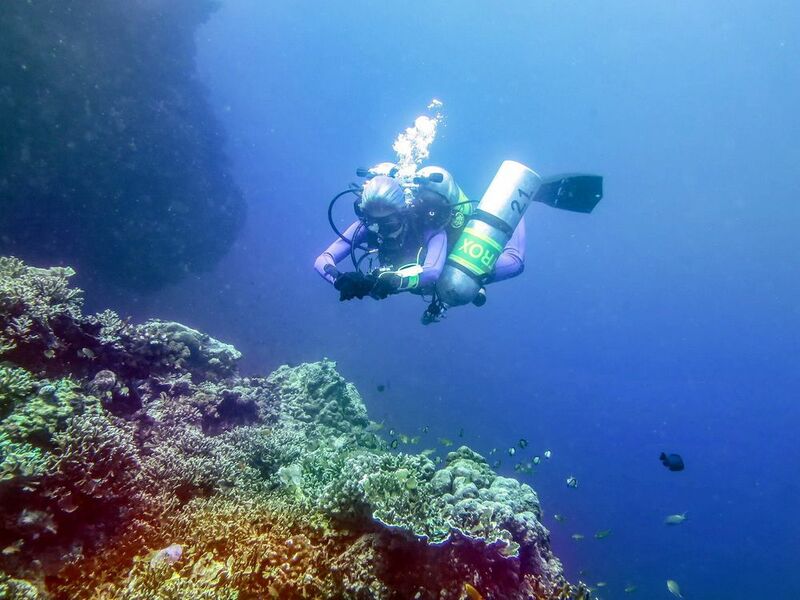 We have easy access to some of the best deep dive sites in the region such as our marine sanctuaries and the famous Pescador Island. 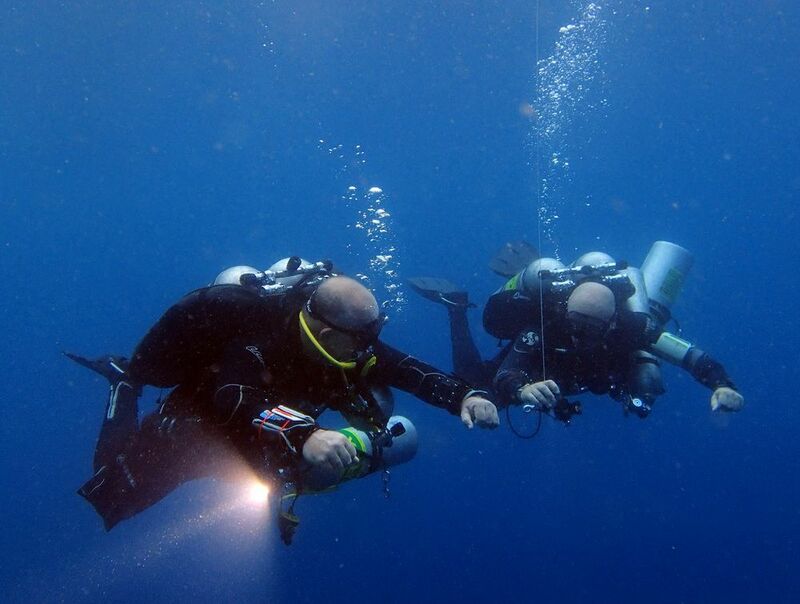 Training and Tec diving services are provided by our permanent team of professional and experienced Instructors and Instructor Trainers, who will be on hand during and after your training. Our courses are run at a pace that suits you, we emphasize safe diving as a result of proper training and quality diver education. 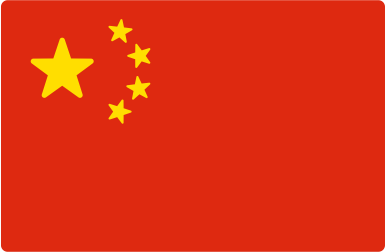 Find a list of technical dive courses here and prices for certified Tec Divers here. Our purpose built facility is designed to make your diving experience as smooth as possible; we have beach access to a shallow area and deep wall just a few yards from our shaded assembly area with benches and secure storage for your equipment. Our boats arrive directly at the beach in front of the dive center. 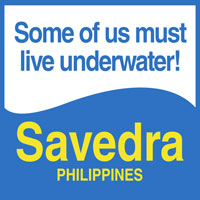 Savedra is a PADI 5 Star Instructor Development Center and certified PADI TecRec Dive Center, our 2 purpose built air conditioned classrooms and learning facilities are of the standard you would expect from such an operation. Our primary classroom as an amazing view of the Moalboal coastline and Pescador island, both have complimentary wifi, power outlets and connections for media. All around the dive center are restaurants and a good choice of accommodation within walking distance making for a very relaxed pace.